Lieutenant Ehren Watada was born in Honolulu, Hawaii in 1978. He joined the United States Army after the war in Iraq had begun. After the September 11 attacks he is quoted saying that he joined, “out of desire to protect our country.” On November of 2003 he was commissioned by the Officer Candidate School as a Second Lieutenant. 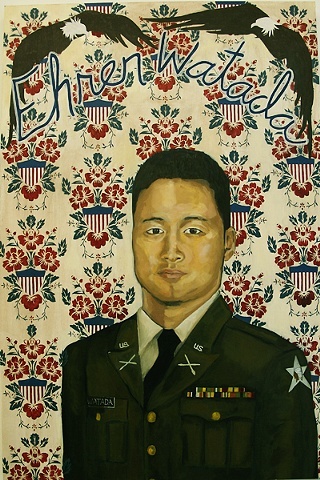 In 2004 Watada learned that his unit would be deployed to Iraq as part of Operation Iraqi Freedom. This is when Watada started to do research about Iraq's culture and the United States history with Iraq and international law. He also wanted to know why the U.S is at war with Iraq. He concluded that he could not justify the Iraq war. He claims that the war in Iraq is illegal for several reasons, including that it violates the Constitution and War Powers Act. He also also cited the UN Charter, the Geneva Conventions, and the Nuremberg Principles in his defense. Watada also points out that the war was based on false pretenses, such as links between Al-Qaeda and Saddam Hussein and the existence of weapons of mass destruction. He also addresses that the occupation of Iraq does not follow the Army's own legal rules of conduct for occupying a country. This is why Ehren Watada is the first commissioned officer in the U.S armed forces to refuse to deploy to Iraq. It is important to Ehren Watada to distinguish that he is not a conscientious objector because he is not opposed to war or the military, It is his belief that the current war in Iraq is illegal. Watada went through the proper chain of command to resign his commission. The Army denied his request because he had not fulfilled his eight-year military service obligation. He claims that he offered to serve in Afghanistan, because he states it is an, “ unambiguous war linked to the September 11 attacks.” He was refused. Watada was initially charged with two specifications Conduct Unbecoming of an Officer and Gentleman (for speaking publicly against the war/ Bush administration) and one specification of Missing Movement (refusal to deploy to Iraq) These charges total up to seven years in prison. After several trials, the last one being October 2008 ruled that Watada could only be retried on two counts of conduct unbecoming of an officer. Watada has stated that he does not regret his decision and that, “I had the opportunity to make the right decisions, I did so, even knowing there were negative consequences.